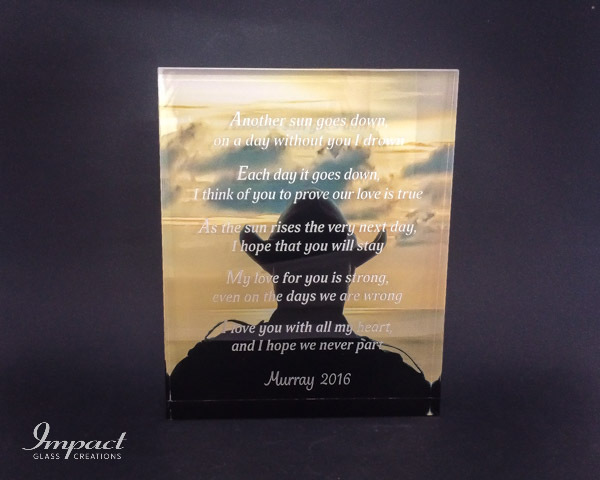 When someone wants that unique, really special, from the heart gift, creating something from scratch is often the way to go. 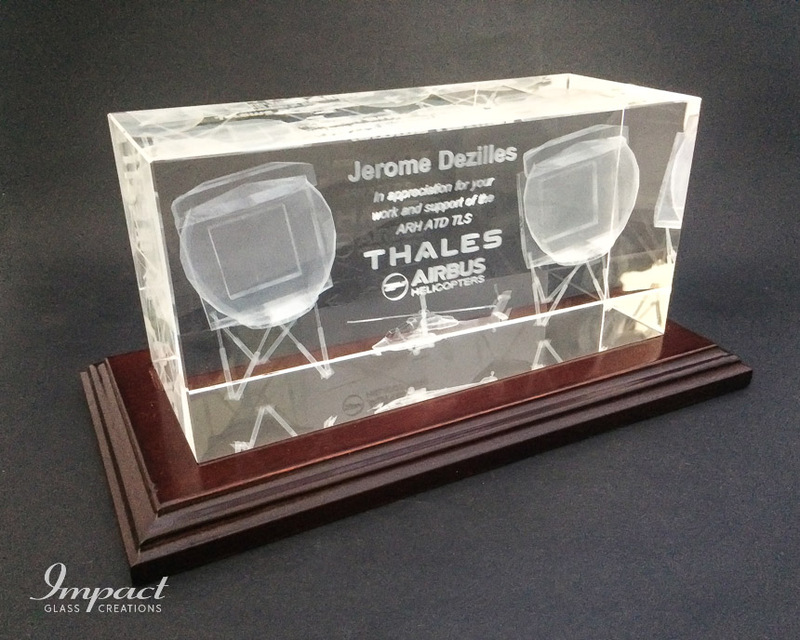 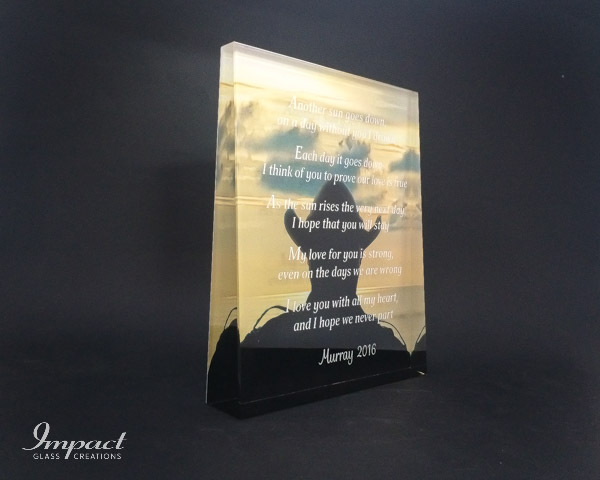 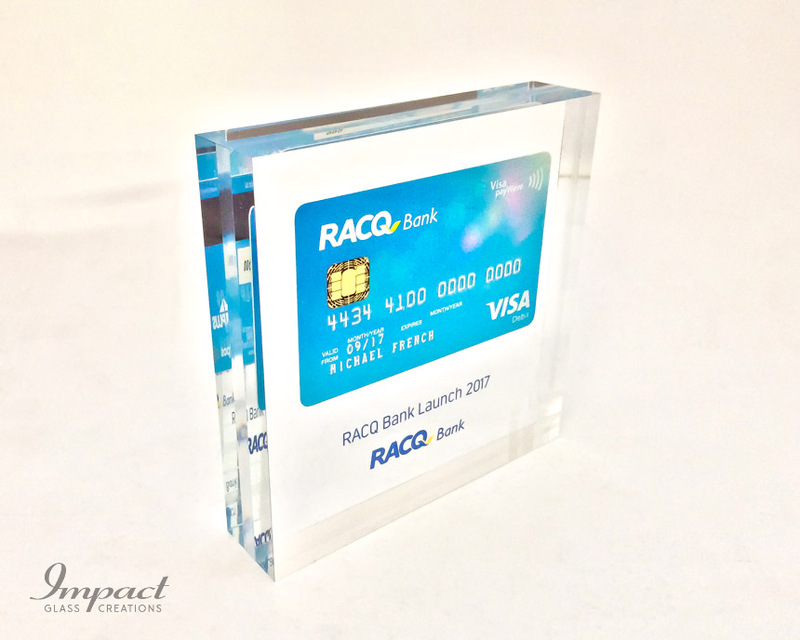 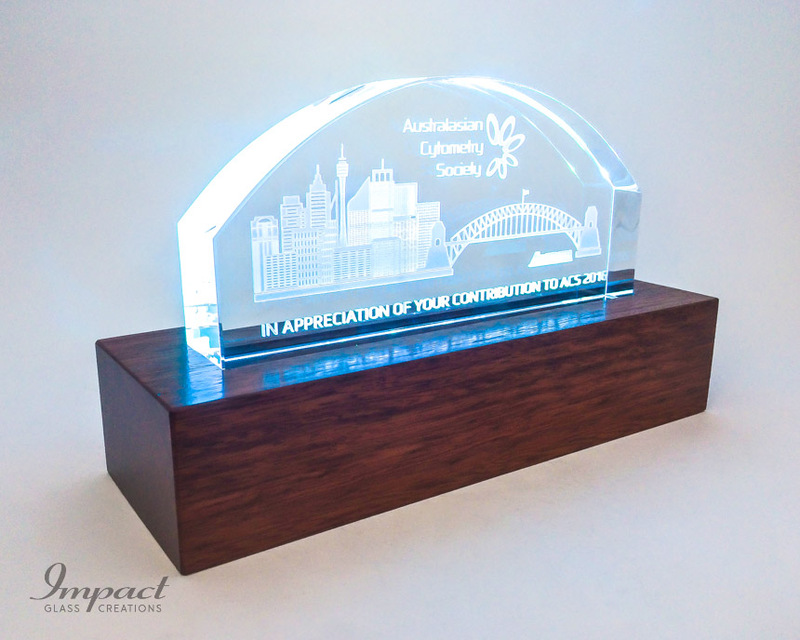 The design team took the customers themes and words to create this striking crystal gift. 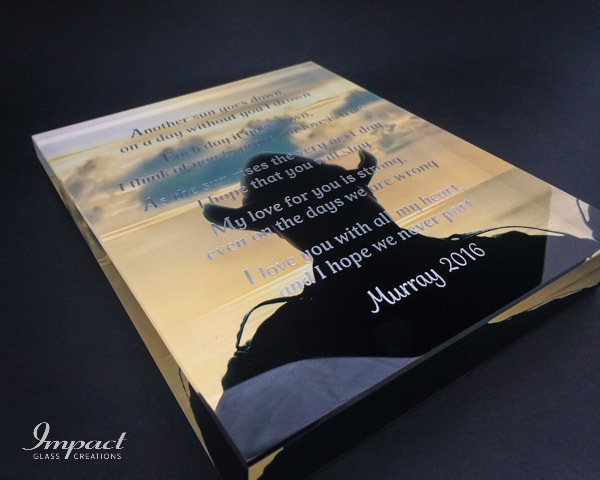 Using a combination of a colour print and photo, which was then encapsulated on the back of the crystal to give lifetime protection. 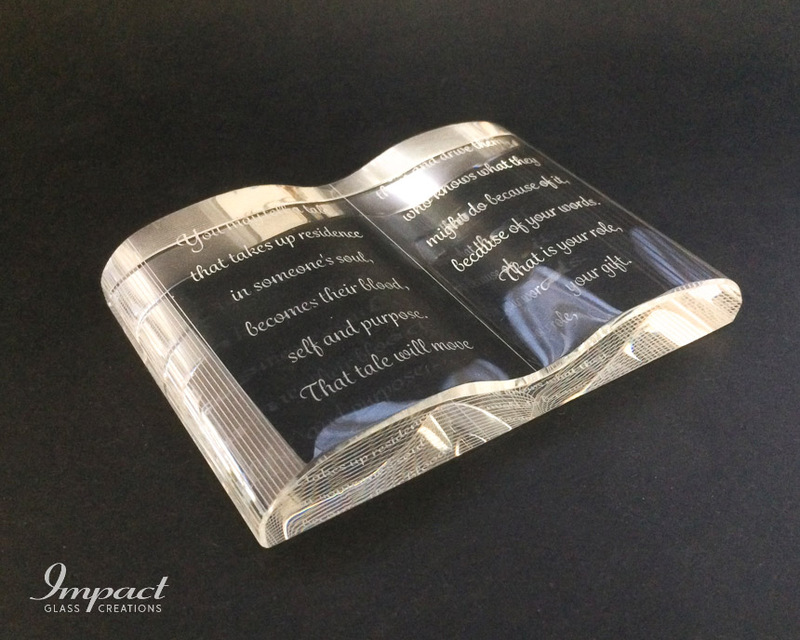 Their own words were then engraved and silver filled on the face of the item.